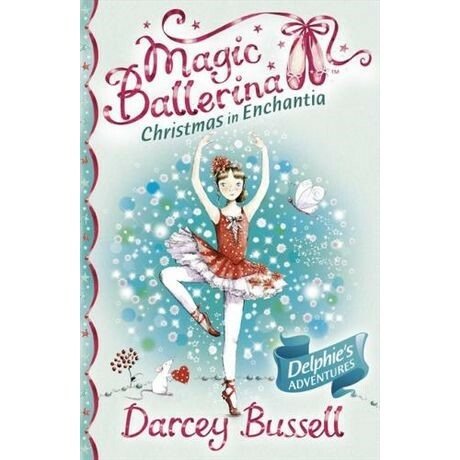 It's Christmas, the most magical time of the year, and Delphie is really excited about taking part in her ballet school's special Christmas show! And just when Delphie thinks things can't get any better she is whisked away to Enchantia. Her friends there really need her help to make sure that this Christmas in Enchantia is the best one ever, despite King Rat's mischief making! Darcey was educated at The Royal Ballet School, where the late Kenneth MacMillan spotted her exceptional technique. He then championed her early career leading to her become a Principal ballerina at the Royal Ballet by the age of 20. She has danced in major ballets all round the world. Her grace and ability to inject heart-wrenching emotion into her performances has won the affection of the British public making her the top ballerina in the country.